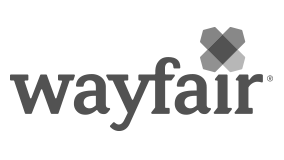 Wayfair’s Operations Product Management team is looking for an experienced Product Manager. You will partner with stakeholders across the business to understand the organization's internal customer service need, identify gaps in current product capabilities, define product design & functional requirements/capabilities, and execute on those through implementation & deployment (including planning, rollout, post-launch support, etc.). Who we are: We are an internal product management team that seeks to make things run more efficiently and improve operational processes through the use of technology. We analyze the operations of our business (Customer Service, Outbound Sales, Product Catalog Management, Fulfillment, Transportation and Warehousing) and find opportunities to improve customer experience, improve internal team productivity and reduce costs. Then we work with our engineering teams to build systems to realize those opportunities.